Evolution not only shaped the way our planet looks today, it continues to change the world on a small scale every day. And while you can't (usually) see how organisms evolve on a day to day basis, any small-scale evolutionary event has the potential to impact us as a species. Case in point: microbes, like bacteria and viruses. Because they evolve so quickly, microbes offer a glimpse at how evolution happens on an accelerated timeline and provide an example of how evolution can affect human health, sometimes with disastrous effects. While scientists have been studying the evolution of microbes for centuries, researchers recently discovered a novel path of evolution that deepens our understanding of how viruses adapt to their environment. Read on to learn more about how evolution shapes our relationship with microbes, and the new discoveries that add a new layer of complexity to viral evolution. While the biodiversity on earth today speaks to the profound effects of evolution, evolution happens on a micro-scale with random genetic changes. A genetic mutation that changes the resulting protein in a way that benefits an organism's reproductive success, such as increasing energy efficiency or boosting resistance to disease, is more likely to get passed on from generation to generation. On the other hand, genetic mutations that change the resulting protein in a negative way and decrease an individual's reproductive success are less likely to be passed on, and may be phased out of the gene pool. 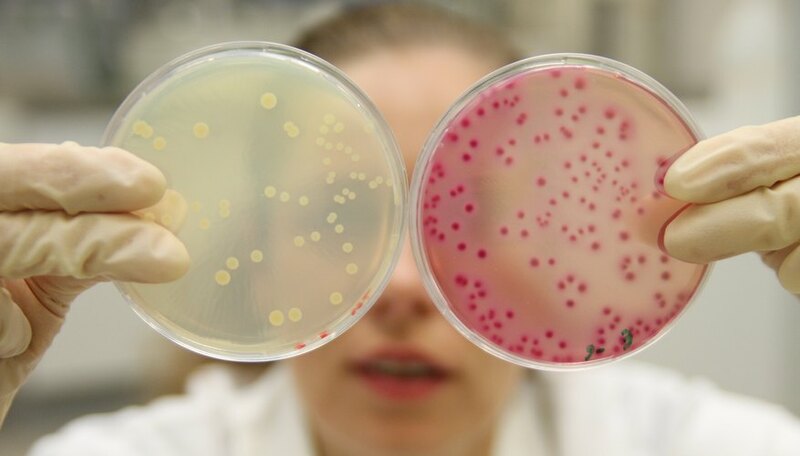 The easiest way to see evolution in action today is in antimicrobial resistance. Bacteria and viruses are among the fastest-mutating species, because they replicate extremely quickly (especially compared to humans). This means they can both acquire mutations quickly and rapidly undergo generations of growth that amplify beneficial mutations and reduce harmful ones. Genetic mutations that provide antibiotic resistance provide a strong reproductive advantage for the bacteria that have them, for example, which is why the development of highly resistant superbugs is such a public health concern. So How Does This Apply to Viruses? Viruses also use genetic mutations to evolve and maintain the ability to infect host cells. Viruses infect their hosts by identifying specific receptors on host cell membranes — receptors that allow them to enter the cell. Special host identification proteins on the virus attach to the host receptors, like a lock fitting into a key. The virus can then enter the cell (infecting the host) and "hijack" the host's system to generate more viruses. Viruses follow the standard "rules" for evolution, and genetic mutations can impact their ability to infect a host. A genetic mutation that creates more effective "keys" benefits the virus, for example. On the other hand, genetic mutations to the hosts' "locks," could end up locking a virus out. Think of it like a cat and mouse game: The virus favors mutations that allow it to affect hosts and reproduce more efficiently, while the host favors mutations that protect it from the viral infection. While these basic tenets of evolution aren't new, scientists are just now discovering how flexible viruses can be at evolving the best "key" to infect new hosts. New research, published in Science in 2018 found that viruses can also adapt the way their genes are translated into protein. Instead of following the general "one gene, one protein" paradigm, the researchers found that viruses could adapt to their surroundings by creating multiple different proteins from the same gene. In other words, the viruses could use one gene to create two completely different "keys," capable of fitting into two host "locks." While it's too early to understand the full impact of this newly discovered form of evolution, it could help us understand spillover infections, which occur when a disease that starts out in one species could start to appear in another. Since SARS, Ebola, and HIV all started out as spillover transmission, it's easy to see why understanding spillover infections is important to public health. Of course, it also shows that evolution doesn't just happen at a genetic level. And this newly-discovered evolutionary phenomenon may give us insight into where some infectious diseases came from and where the field is going. Tremblay,, Sylvie. "How Viruses Are Changing The Way We Look At Evolution." Sciencing, https://sciencing.com/how-viruses-are-changing-the-way-we-look-at-evolution-13711544.html. 18 June 2018.